The exciting, dramatic story of one of history's most famous events - the death of Julius Caesar - now placed in full context of Rome's civil wars by eminent historian Barry Strauss. Thanks to William Shakespeare, the death of Julius Caesar is the most famous assassination in history. But what actually happened on March 15, 44 BC is even more gripping than Shakespeare's play. In this thrilling new book, Barry Strauss tells the real story. Shakespeare shows Caesar's assassination to be an amateur and idealistic affair. The real killing, however, was a carefully planned paramilitary operation, a generals' plot, put together by Caesar's disaffected officers and designed with precision. There were even gladiators on hand to protect the assassins from vengeance by Caesar's friends. Brutus and Cassius were indeed key players, as Shakespeare has it, but they had the help of a third manDecimus. He was the mole in Caesar's entourage, one of Caesar's leading generals, and a lifelong friend. It was he, not Brutus, who truly betrayed Caesar. Caesar's assassins saw him as a military dictator who wanted to be king. He threatened a permanent change in the Roman way of life and in the power of senators. The assassins rallied support among the common people, but they underestimated Caesar's soldiers, who flooded Rome. The assassins were vanquished; their beloved Republic became the Roman Empire. An original, fresh perspective on an event that seems well known, Barry Strauss's book sheds new light on this fascinating, pivotal moment in world history. In the position of honor beside Caesar was Marcus Antoniusbetter known today as Mark Antony. He was Caesar's candidate to be one of Rome's two consuls next year, the highest-ranking public officials after the dictator. Behind them came Caesar's protégé, Decimus, fresh from a term as governor of Gaul (roughly, France). Beside him was Gaius Octavius, better known as Octavian. At the age of only seventeen, Caesar's grandnephew Octavian was already a man to be reckoned with. The Death of Caesar is ideal for readers who have only a passing knowledge of ancient Rome. 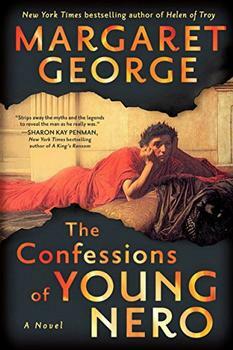 The author weaves details of Roman life and politics, knowledge about the people involved in the conspiracy, and facts about the assassination itself into a well-researched yet entertaining historical narrative. (Reviewed by Kim Kovacs). [A] compelling, clarifying account of one of history's most dramatic assassinations. . . . [Strauss] conveys the complexity of late republican Roman politics while keeping up a lively pace. Starred Review. Both enriching and exciting to read, this work will interest and enlighten both classicists and general readers with a interest in history or political philosophy. Starred Review. 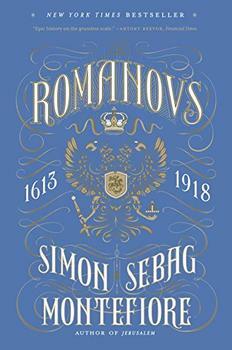 Strauss takes us deep into the psyche of ancient history in an exciting, twisted tale. This is history as it should be written - a deeply human story of all the men and women caught up in these famous events. The Death of Caesar brings back all the suspense of an extraordinary story, as if we weren't sure what was going to happen next. An unputdownable book. A riveting blow-by-blow account by a masterful scholar and story-teller of a human drama that changed the course of Western history. Superbly researched, wittily written, but above all driven by a truly exciting narrative that never lets up, this is history-writing at its best ... this will be the standard work for decades to come. I always knew the plunging of those fatal daggers was an epochal moment in Western Civ, but I never knew why – until now. In The Death of Caesar, author Barry Strauss touches on the lives of some of the women surrounding the conspirators, including Brutus's wife Porcia Catonis, the daughter of Brutus's uncle Cato the Younger, and perhaps, the only woman who knew about the conspiracy to assassinate Caesar. Much of Porcia's life is undocumented. It's believed she was born some time between 73 BCE and 64 BCE, and that Cato divorced her mother for adultery when Porcia was very young. She was married to her first husband, the conservative Marcus Calpurnius Bibulus, sometime between 58 BCE and 53 BCE, and it's thought she may have borne Bibulus a son named Lucius, although this is debated.